Free roof inspections are part and parcel of what we do. Your roof is one area of your home or commercial space that you have limited access to. 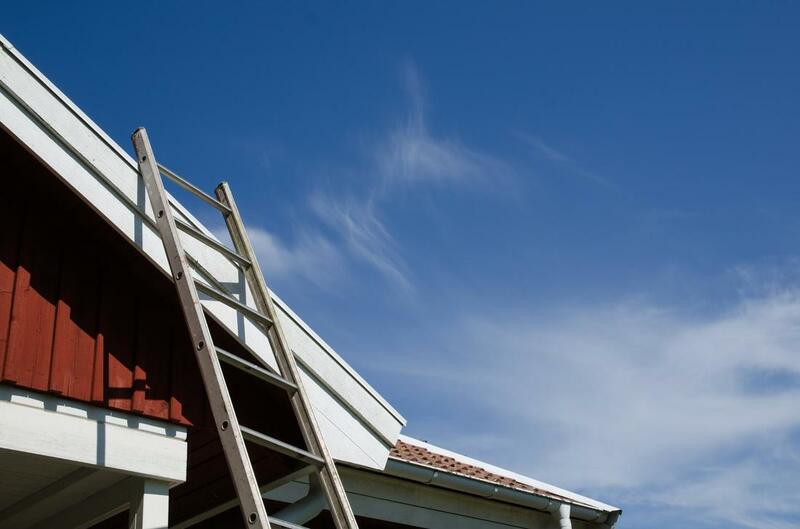 Many people are afraid of heights and may not have the proper ladder to inspect their roof. We recognize this and that is why we use ample documentation including detailed notes, descriptions, pictures and video. You never have to worry about fraud or billing for unnecessary repairs because our reputation is important to us and we are licensed, bonded and insured within the State of Texas. To properly maintain your home and commercial space, we recommend that you have your roof inspected by Granbury Roofers annually after hurricane season. Trees and plants are planet earth’s primary source of oxygen. Trees also have the potential to wreak havoc on your roof. As wind blows branches back and forth, the limbs scrape the surface. Over time, the granules dissipate and eventually the shingles loosen, curl up or fall off leaving your roof exposed to the elements. We find serious roof erosion in areas where tree debris has accumulated. If the north side of your home has a tree in close proximity, the leaves, berries, sap and other byproducts fall on your roof and begin the normal process of decay. The acid that collects in this area causes roof failure. We recommend that tree branches be trimmed ten feet away from your property. When we do inspections, one of the things we look for are unsecured nails. Any exposed nails or nail pops are a red flag. Rain can access your attic and ceiling through the area around your nail and cause significant damage. If we notice unsecured nails in your roof, we will take pictures and then recommend that all nails be sealed and secured. When you think about how much is at stake, it’s worth the time and resources to have a roof inspection done annually. A thorough roof inspection can be completed in less than 30 minutes. Sealing and securing nails can take less than an hour, depending on the level of disrepair. In total, an hour and a half is spent in protecting your most valuable asset. Shingles are the most important element of your roof. The manner in which they are arranged, the glue and securing methods are key in keeping your home wind and rain proof. When conducting a free roof inspection, we want to make sure your shingles are in place, sealed and secured. Loose and missing shingles can signify imminent disaster. If we locate any damage, we will determine next steps. For minor shingle damage, we can replace any compromised shingles, seal and secure them properly. If our expert roofer notices extensive damage, we will recommend that the entire roof be replaced. It would be our pleasure to go over all aesthetic, cost and insurance options with you. Flashing is used in roofing to prevent water seepage. It is typically made of galvanized steel or aluminium but can also be constructed of copper. By strategically placed it over roof joints, water damage can be avoided. If your home or business has a chimney, we will look at the flashing surrounding the chimney to determine if it was installed correctly and if there are any areas where water and wind can access to potentially cause damage. Some dishonest and incompetent roofers will cut corners when installing flashing around a chimney. Flashing should be installed into the mortar of the chimney to keep your family safe and secure from the elements.